Lunar Saints is looking for fresh and interested Artists, Talents, Actors and Performers. 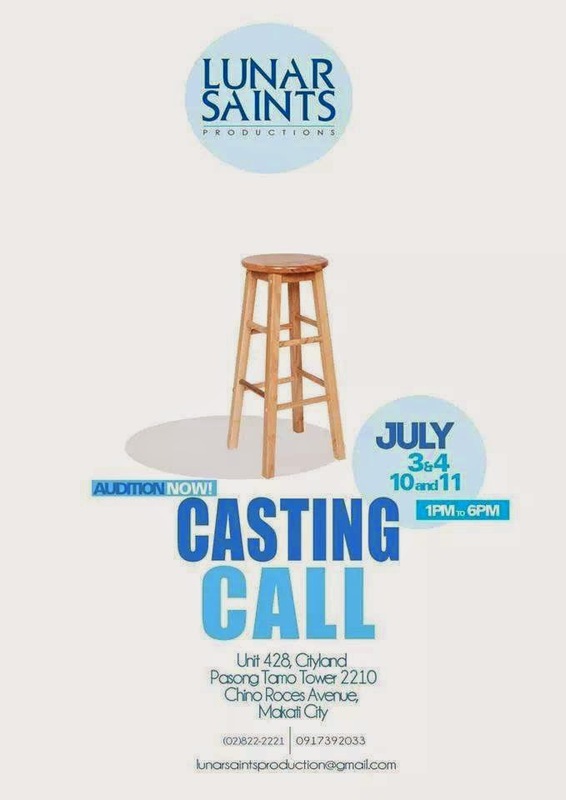 Casting call is on July 3-4 & 10-11 at Unit 428, Cityland Paong Tamo Tower 2210, Chino Roces Avenue, Makati City. The group is also updating its Talents database. Please contact 822-22221 or 09173920331 for more info.